President Obama's education plan – at a war with itself. 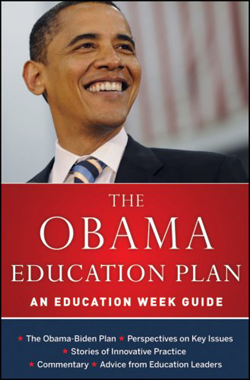 Find out How Obama's Education Plan 2018 would affect First Accredited Online Universities? A revolutionary plan will be unveiled by Obama Government - where colleges would be judged on how their students perform once they face the real market in the outside world. Experts predict a radical overhaul in the educational establishment. Financial rankings to be tied to college performance as portrayed in aforesaid college scorecard. Massively Open Online Course (MOOC) to be encouraged stringently. College loan repayment will be tied to percentage of earning capacity of individuals so known as “Pay as You Earn"
College rankings look far beyond the realty, when their output in form of students is compared. We all know the fact that graduates from some of the top best colleges don't always have the best career performance - successful life post-college. Forbes ranked colleges based - student satisfaction and post-graduate pay suggests that Pomona College ranked No. 2 - Berkeley ranked to No. 22 while super - pricey Brown University ($57,000) was not even amongst the top 10. 82% of students studying with some or other kind of financial aid will face prominent issues in attending some high end colleges, If financial rankings will be tied to college performance. MOOC will have its impact the same way Internet impacted the Libraries. In current scenario the results purely depend on readiness shown by congress about tough measures with regards to eligibility of Federal aid. Needless to say that higher education political lobby - especially the ones who hail from profit making colleges are imposing considerable pressure to withhold the government from releasing the data about college and career performance of its students.